Big CharaPro Haul from SDCC! ::UPDATED:: Pictures! Well I got back from the San Diego Comic Convention late last night. 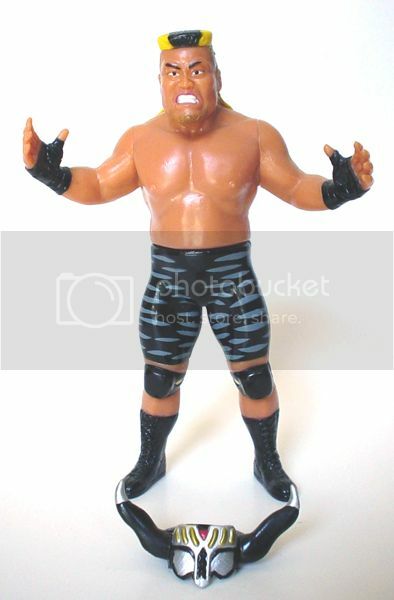 Toy Biz's TNA stuff was phenominal. I didn't realize Jakks even had a display! The con was huge and soooo crowded, hundreds of thousands of people attended over the course of the weekend. However, I did find a great little booth with an older Japanese gentleman selling various import products, along with some really reasonable priced CharaPro wrestling items! Hayabusa - newer short haired brown/bronze gear $20! I asked for this guys business name and card, but he told me he didn't own a shop, he's just a private dealer that does the Con every year! I'll have to track him down next year. 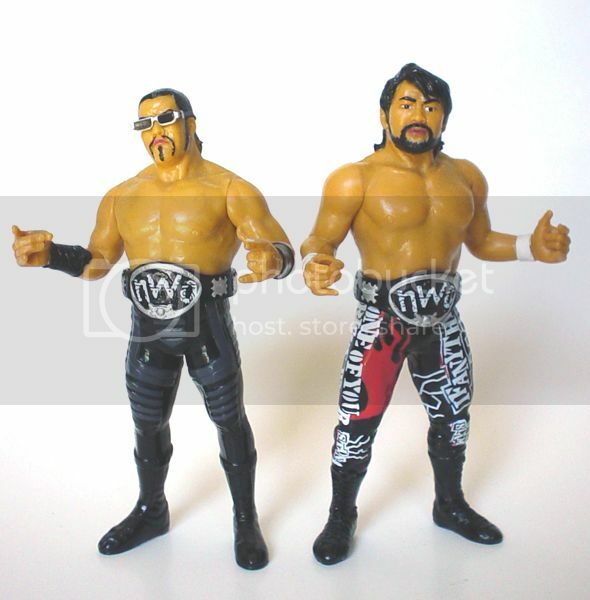 Keiji Mutoh and Masa Chono nWo Two Pack. Old School Great Muta and New School Great Muta. 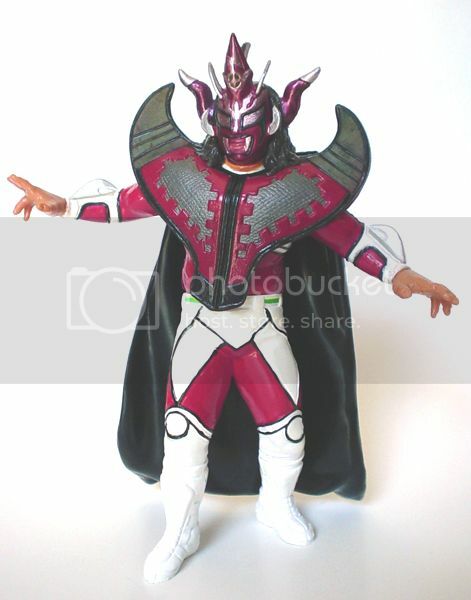 Back detail on New Great Muta. 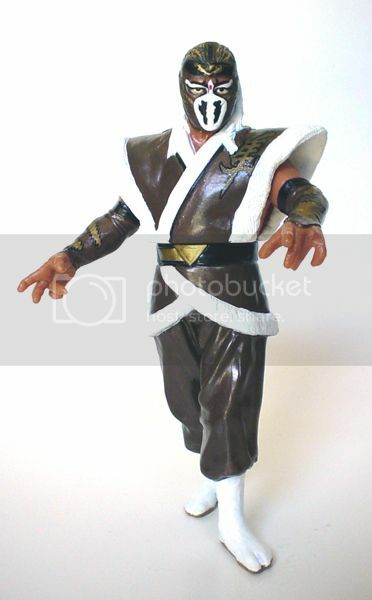 and Hayabusa in entrance gear. "If you touch me, well i just think ill scream"
very cool, great prices on everything too. Seriously though, pics are awesome. For some of us, it's as close as we get to these figs. 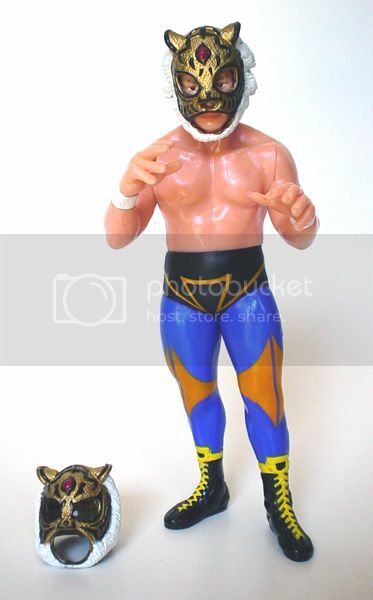 I went to that booth, and was really intrested in the Mil Mascaras figs he had but they were a bit pricey for me. Do you have pics Ricky? You really got some very good prices on some excellent figures. Great pick-up. wow! those r awesome..great pick ups! i really like the detail on these figures. thanks for posting the loose pics. Awesome figures and great prices to. Enjoy them. 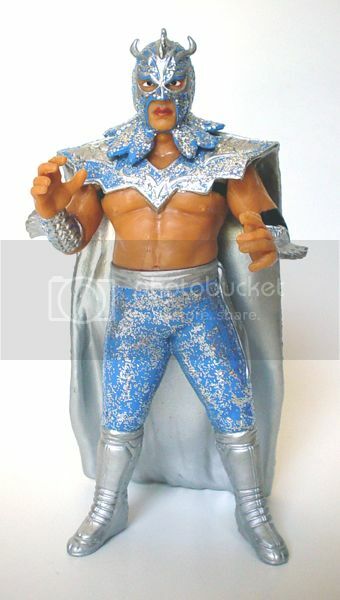 I love that old school muta now if only jakks can release him in ra with a blue and white terry funk. I missed that booth. Wouldn't have been able to buy more than 1, anyway. You got some great figs. I love the old-school Muta and Hayabusa.